iMiX16 Band is made on the basis of iMiX16 Pro Theatre Show System, the most stable app in show business! 64 audio channels, 16 groups. 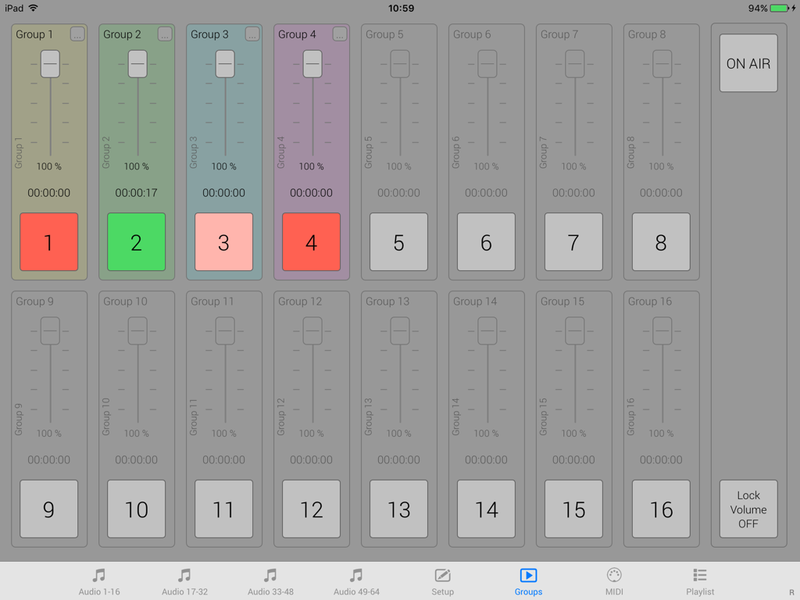 Assign audio channels to groups to play multiple audio channels simultaneously with a single tap. Adjust playback settings like volume, panning, loop, fade-in, fade-out, etc. for each audio channel. Load and save audio and groups channels settings (create setup file for each performance). Import/export audio from/to other apps (Open In, Audio Paste). Download audio files directly from the internet into the app (Dropbox). 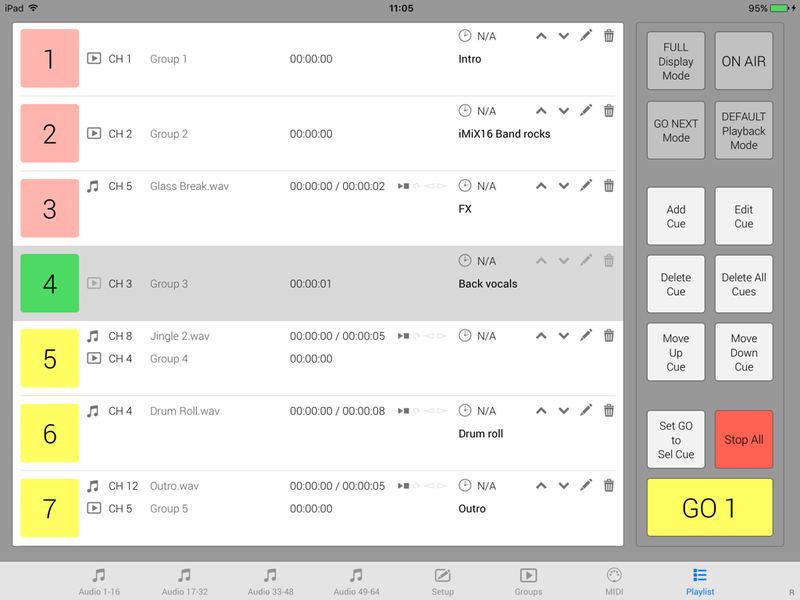 PLAYLIST - create audio and groups cues and control your show with a single button. MIDI IN/OUT - control the app with MIDI controller via USB (Camera Connection Kit) or WiFi. 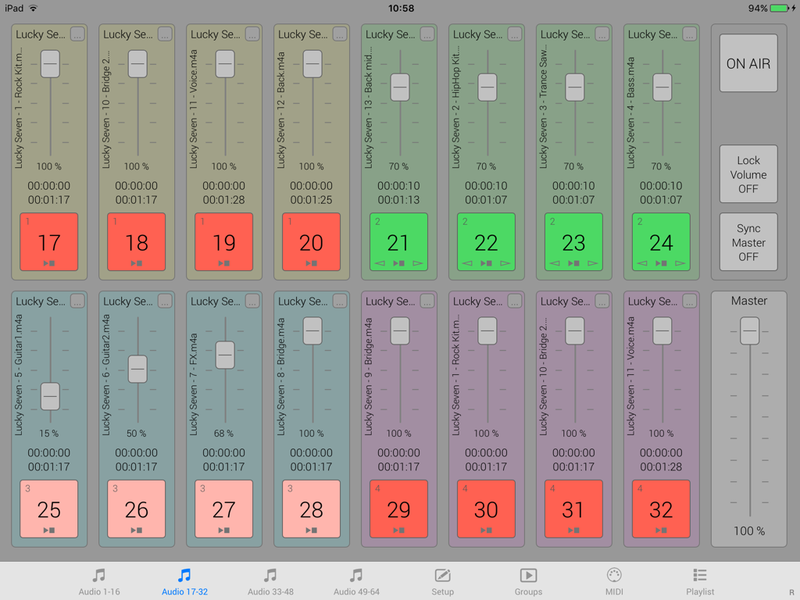 Control other apps and MIDI devices with the app. 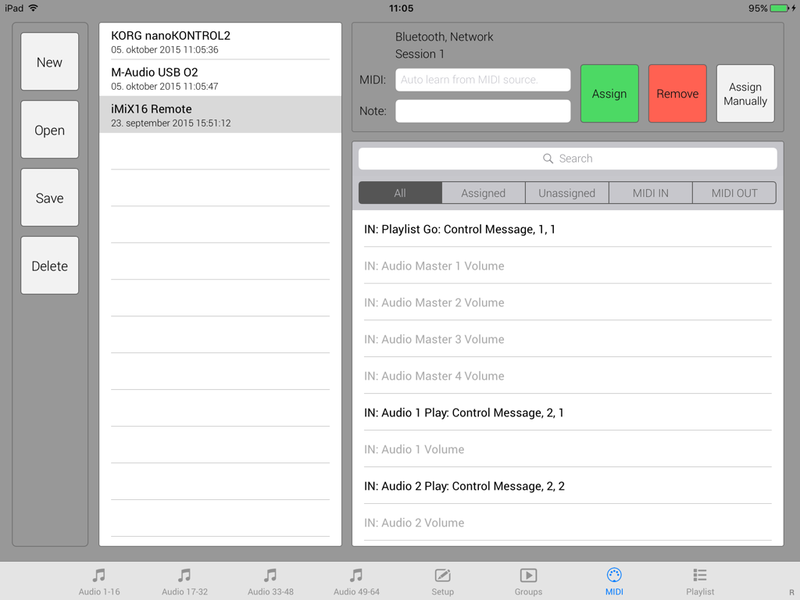 OSC IN/OUT - control the app with other OSC apps. Control other OSC apps with the app. AUDIOBUS - fully integrated Audiobus technology enables you to send and receive audio from/to other Audiobus compatible apps. EXTERNAL KEYBOARD - control the app with bluetooth keyboard or any other bluetooth device (pedals, remotes, …) which are able to send keyboard commands to iPad. AUDIO APE REMOTE - control the app with Audio Ape Remote device (www.audioaperemote.com).